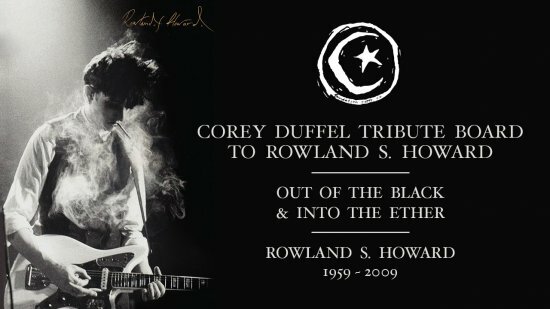 Corey Duffel's new pro deck is a tribute board to honor the legendary musician, Rowland S. Howard. To celebrate this release, Foundation has a created a microsite featuring a video with Duffel, photos, and a Duffman Jams Rowand music playlist. Matix Ambassador Anthony Anaya from Matix Clothing on Vimeo. Coach Anthony, Mr. Anaya…. If you are a 9 year old kid living in Santa Maria, Ca and are learning to skateboard, this is who Anthony Anaya is to you. Anthony was first seen skateboarding like most young kids, with full pads and a helmet with a spiked Mohawk on it. What made him different was his natural style and ability to command his skateboard at such a young age. To this day Anthony still has this smooth effortless style on his skateboard that is so pleasing to watch. So enjoy the next few minutes of this amazing skateboarder and person. I introduce to you, my friend Anthony Anaya. Dan Lu's new ad in Thrasher! Congrats to Daniel Lutheran on nailing his first Thrasher cover on the eve of Van's video,Propeller!! Gap to 20 stair 5050. Welcome to the Team Glick! We're proud to announce Corey Glick as the newest team rider to the Foundation Super Co! Stay tuned for a "Welcome to the team" video edit premiering May 7th exclusively on Thrasher Magazine! Check out Louie's pro wheel here! Habitat pro, Daryl Angel gets on the Crail Couch and discusses his separated shoulder, having the first HD video part and awkward encounters with Mike Carroll.